Leaving her human friends behind was one of the hardest things for Allie to do, but at least she knows they are finally safe as vampires aren't welcome in Eden, the last human sanctuary. Besides, she has her own mission to rescue her sire, Kanin, from the psychotic vampire who is holding him captive and subjecting him to untold horrors. She teams up with an unlikely ally to return to her old home, New Covington. But what she finds there is more shocking than anything she has ever seen. The Red Lung virus is back, and this time not even the vampires are immune. The character dynamics in THE ETERNITY CURE were simply incredible. Allie is still going through her own inner turmoil as she tries to balance who she wants to be with the monster she is within. I love that while she isn't in denial about her monster nature, and embraces it when necessary, she also hasn't let it consume her. There is so much humanity and compassion to her, which honestly shouldn't be possible. Heaven knows everyone else has tried to drive it out of her, Jackel most of all. Speaking of Jackel, I was rather surprised to find myself starting to like him. Sure, he's still a terrible person, or rather vampire, but he does seem to care about Allie in his own sort of brotherly twisted way. There were several times throughout the book where he could have left her to a horrible fate, but he didn't. In fact he actually saved her more than once. Granted, some of my new found like for him was that he provided a much needed comic relief from the bleak circumstances with his constant quips and one liners. Another character that I have only grown to love more is Kanin. I had a soft spot for this quiet vampire in the first book, but he was rather secretive so it felt like we weren't seeing all of him. However, in THE ETERNITY CURE, we get to see so much more of who he really is, and I love the new dynamic as he is no longer her teacher, but a friend whose ties are close as blood. There are many more character dynamics I could get into, namely my extreme hatred of Sarren, but this review is getting to be long enough. Suffice it to say that each and every character brings something incredible to the table in THE ETERNITY CURE, be it for the good or the bad. Now onto the romance. 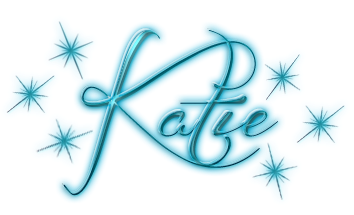 I loved Zeke and Allie together in the previous installment, but I also had held myself a bit apart as I just couldn't quite see them working out in the long run due to the differences between them. However, while reading this book, I became completely engrossed in the two of them. Zeke is the only human who could have fully embraced everything Allie is. His refusal to judge her even when she loses control of the monster allows her to finally relax around him and open up, allowing more of her humanity to shine through. Speaking of humanity, Zeke's is rather incredible. While he may not like to kill, he doesn't hesitate to do what is necessary. But more importantly, he doesn't let the darkness of taking other's lives darken him at all. No matter what he has been forced to do to protect others, he hasn't lost one bit of his shining humanity, and that is precisely why I feel he is absolutely perfect for Allie. He really grounds her, and it is because of that the my heart truly bleeds for them whenever the author throws something nasty and devastating in their path. 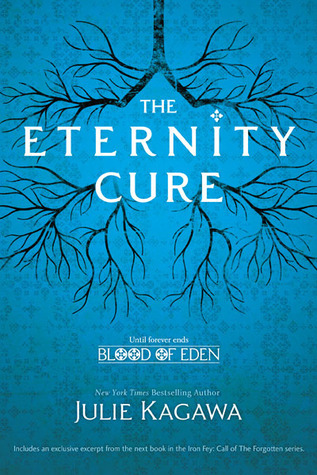 THE ETERNITY CURE is one of those rare books that seamlessly balances character development and heart pounding action along with staggering emotions in perfect proportions. There wasn't a single dull moment in this book. In fact, I'd give just about anything to get my hands on the next installment as the wait will be fairly agonizing after the cruel punishment of this one's ending. 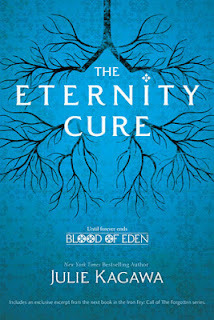 Even better than the first book, THE ETERNITY CURE is not to be missed!